According to the U.S. Department of Education, over the past two decades, while college-educated workers’ wages have increased, annual salaries for those with only a high school education have decreased. In a study by the Alliance for Excellent Education, findings concluded that by 2020 only 36% of jobs will be open to high school graduates. The reality is straightforward, in a world full of jobs that require and will require post high school education,quality students, the emphasis of a student’s growth can no longer rest solely on grades or test scores. 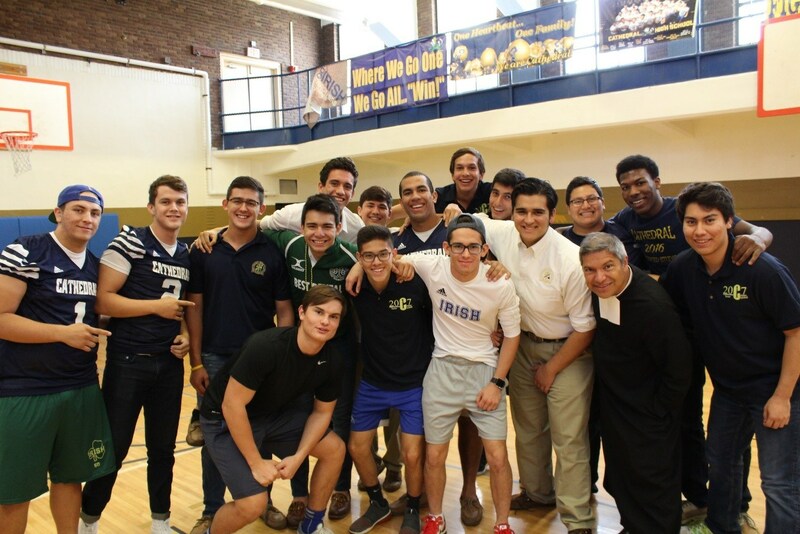 At Cathedral, we focus on creating a well-rounded man with the highest moral character, a dedication to community service, and a litany of extracurricular activities that stimulate the mind and body. Our goal is simple, to help our students achieve their dreams and in the process nurture men. We see our two goals as different parts of a whole, unable to succeed without the other and within that belief lies the value of Cathedral High School. All students dream of a particular life, career, or college but while most schools only allow students to dream, Cathedral helps students achieve them. If a student applies himself, takes advantage of Cathedral, and does everything asked of him he will leave our school with the best opportunity to accomplish his goals. We do have forms of financial assistance with the exception of this kind. Aid is not given out solely for athletics or any other individual skill. The financial aid we are able to provide is based on a holistic view of the student: grades, community service, athletics, clubs, organizations, and leadership. We believe that a student who excels or develops skills in all facets of their life and character is best capable of succeeding not just in school but in life and use financial aid as one form of demonstrating that. Can I get the same experience elsewhere? 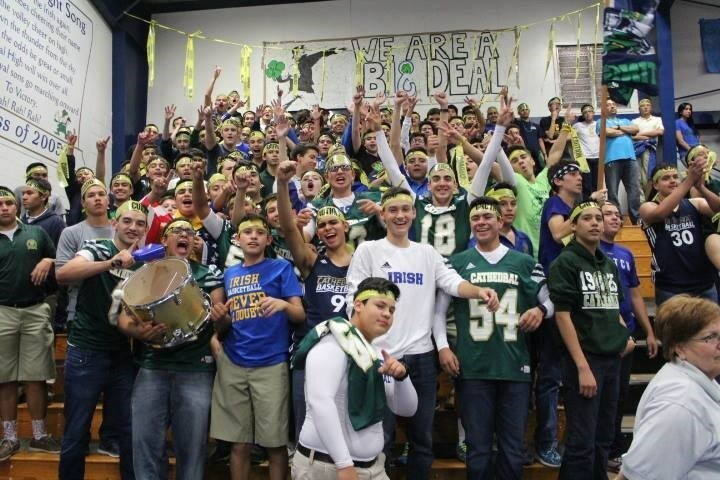 Once you enter Cathedral as a student you are part of a brotherhood and family for life. In schools with larger populations or different cultures it is easy for young men to fall through the cracks, become numbers rather than faces. At Cathedral, we pride ourselves on knowing our students. Whether it be attending our students’ sporting events or reading seniors’ college essays, we are dedicated to ensuring that our students enter school every day knowing they are valued. 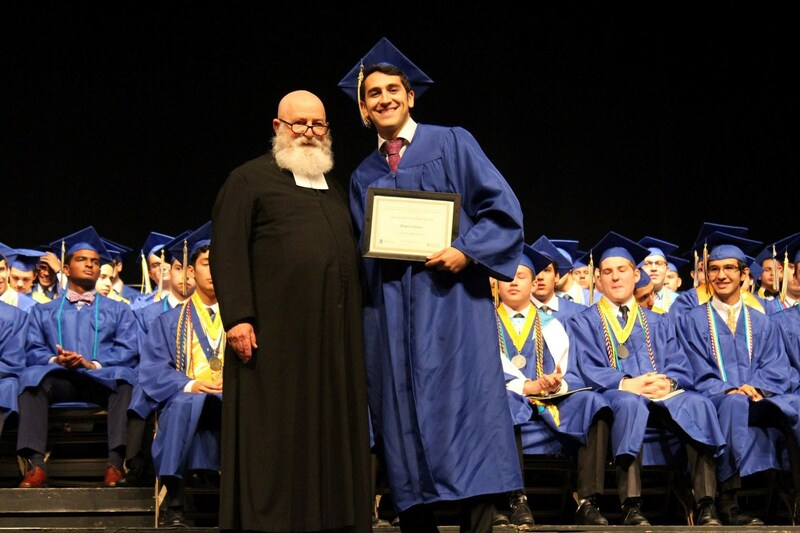 As Brother Nick, President of Cathedral and member of the Class of 1980, famously tells each prospective student who walks through the hallways of Cathedral, our school is a place where young men find purpose and discover an ability and character within them that even they might not have known existed. I’m not Catholic, will I feel welcomed? Yes. As a Lasallian School we were founded through the eyes of a Christian and Catholic doctrine. Our mission, however, lies in using faith, regardless of the religion or denomination, to instill discipline and a culture of service in our students. We are not in the business of converting students or imposing a certain set of religious beliefs on students. We are teachers who want our young men to be the best individuals they can be both inside and outside of the classroom and use universal principles that are found in religion to develop our students. How can I afford to send my son to Cathedral? financial aid that can be applied for. All families interested in financial aid will need to apply through FACTS and upload any and all documentation that demonstrates financial need. For the 2015-2016 school year, over $261,000 in financial aid was given out. 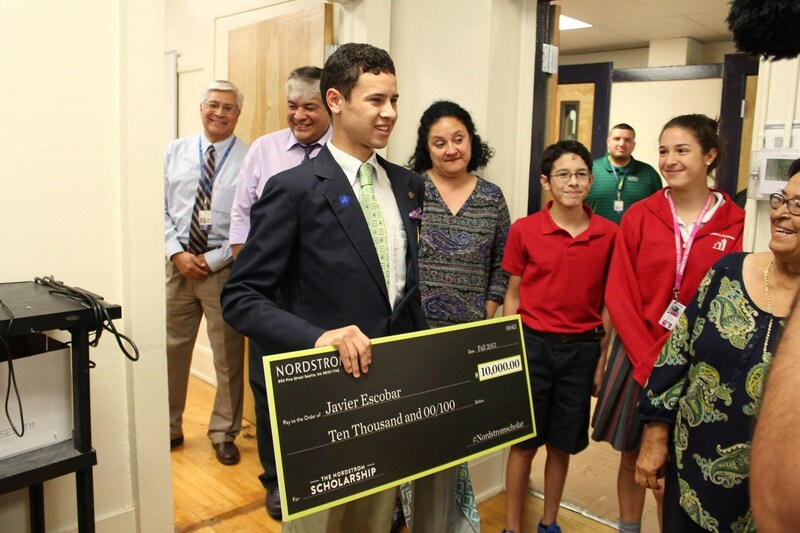 If you want to be included in the email list once scholarships and financial aid applications become available please email Mr. Juan Pablo Baca, our Admissions and Recruitment Coordinator at jpbaca13@cathedral-elpaso.org or call 915-532-3238 ext. 695. College is expensive. Why would I pay for a high school as well? Cathedral is an investment that can begin to pay itself off even before you enter college. Our 2016 graduates received 14 Gates Millennium Scholarships, over 3,000 college credit hours, and over $41 million in financial aid. A great number of our students receive sizeable scholarships and grants that make college a financial possibility for their families thanks to the education they received at Cathedral High School. No other school can match the amount of aid are boys are awarded with even when in comparison to larger schools. Though Cathedral is a financial investment we are committed to helping you recoup that money in the long run by making college more accessible for your son no matter where he chooses to study, a feat no other school in the city has done as well as us.